This year marks the 400th anniversary of the birth of Evliya Çelebi, the famous 17th century Turkish traveler who journeyed across the Ottoman Empire and neighboring lands over a period of four decades. Evliya Çelebi, born into a wealthy family in İstanbul in 1611, received a good education and served as an accountant at the Ottoman court. He began his travels first with rounds in İstanbul, during which he is known to have taken notes on many aspects of the city, including important buildings, markets and other landmarks, as well as on traditions. Historical sources say his first journey outside the city was in 1640, after which he toured almost all the Ottoman lands -- which then stretched from Algiers in the west to Baku in the east and from Budapest in the north to Yemen in the south. Evliya Çelebi’s collection of notes from these travels make up a 10-volume work, the “Seyahatname” (Book of Travels), which still stands as a useful guide to the cultural aspects and lifestyle during 17th century Ottoman Empire. A group of historians and other academics from Turkey and abroad will gather in İstanbul next week at an international symposium to discuss the legacy of this historical figure on the 400th anniversary of his birth, which is being marked as the year of Evliya Çelebi as declared by the United Nations Educational Scientific and Cultural Organization (UNESCO). English literature professors Gerald MacLean and Donna Landry of the UK, who launched the Evliya Çelebi Way -- a horseback trail ride from Yalova to Kütahya, which follows a path similar to that of Evliya Çelebi -- together with Ottoman historian Caroline Finkel, are among experts expected to take part in the March 25-26 symposium at the Tarık Zafer Tunaya Cultural Center. Ahead of next week’s symposium, Sunday’s Zaman asked about the legacy of Evliya Çelebi and his place in world literature to historians from around the world. Robert Dankoff (professor of Turkish, University of Chicago, US): When I first began teaching at the University of Chicago in 1979, I was very fortunate to have Professor Halil İnalcık as a mentor and colleague. I became seriously interested in Evliya Çelebi when I began reading parts of the “Seyahatname” with Halil Bey’s students and realized the inadequacy of the old printed edition. Throughout the years that I spent studying and translating the “Seyahatname,” I profited immensely from Halil Bey’s encouragement and his criticisms. In particular, he made me realize one important key to understanding Evliya Çelebi -- the fact that he was a “nedim” -- or companion of the sultan -- whose job was to entertain as much as to inform. 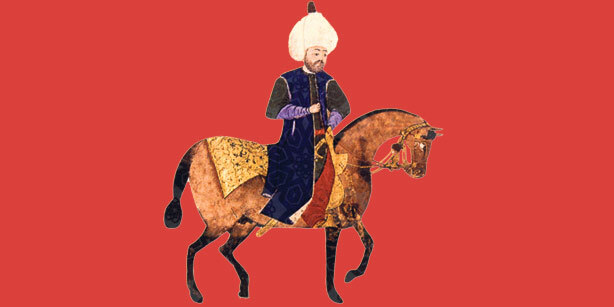 The “Seyahatname” is the single richest source for understanding the Ottoman world. It is a detailed description of the Middle East and Eastern Europe in the 17th century. And that description is filtered through the sensibility of a highly educated and broadminded individual. Evliya was curious about everything and eager to share his knowledge and his enthusiasms. What he left behind is a rich legacy, not only for Turks and Arabs and Greeks and Bosnians who have fallen heir to the Ottoman heritage, but for all of us. In its universal appeal, the “Seyahatname” is comparable to the “History” of Herodotus and the “Muqaddima” of Ibn Khaldun. Evliya combined a scientific sensibility -- and a belief in the importance of empirical eye-witnessing which was also a cornerstone of the European Enlightenment -- with religious piety and an openness to mystical experience. Unlike many European travelers, he appears to have cared about what ordinary people had to say for themselves, and the stories they told him, almost as much as he did about great men, battles, and diplomacy. He is a figure who sheds light on aspects of the Ottoman past that have not necessarily been much brought to public attention. Caroline Finkel (historian/writer): Evliya Çelebi’s “Seyahatname” is the longest travel account in Islamic literature, and probably in world literature. It is approximately 3,000 folios long, or 6,000 “pages” of manuscript. It is important for this reason, but also because the content is unique in its mixture of opinion, humor, myth, expert knowledge (for instance, of music and language), curiosity and much more. There is no other work like it in Ottoman literature, as far as we know, and very possibly no comparable work in world literature. All of this means that the “Seyahatname” is of enormous importance. As far as Evliya Çelebi’s legacy is concerned, we must hope that the celebrations this year will be worthy of the man who inspired them. Conferences are all very well, but they reach few people and therefore do not make Evliya Çelebi’s name and his work better-known around the world. After all, he is too great a figure to be kept as a secret by Turks. Yes, the Turkish people must learn about him -- and this is best done by Evliya Çelebi-related activities than by conferences -- but he should also be better appreciated by people who do not know Turkish. “The Arabian Nights” was translated long ago, and was known to every child when I grew up. It is a very important text for academic study. My dream is that the “Seyahatname” should become equally well-known. Translation into English is a good first step. An exciting event was the publication of selections from the “Seyahatname” in London in late 2010, by Eland Books. Our guide to the Evliya Çelebi Way cultural route will be published in spring 2011 in English (and in Turkish in summer 2011). This contains detailed summaries of Evliya Çelebi’s account of what he saw on his journey from İzmit to Simav in 1671, as he went on the Hajj. It also contains GPS waypoints for a horse-riding, walking and biking route following in his hoofprints. So people who know English can now begin to see how important a figure he is. But without a full translation of his text, his legacy will be limited to Turkish-speakers. Evliya Çelebi seems to me a wonderful symbol for Turkey today. Let us hope that we take every advantage of the opportunities presented by his anniversary in 2011. Gottfried Hagen (associate professor of Turkish studies, University of Michigan, US): I am looking at Evliya more with the historian’s than with the literary critic’s eye. Without any doubt, Evliya Çelebi is the greatest storyteller and narrator in Turkish literature. His narratives show the human in all its complexities and contradictions: proud and humble, parochial and cosmopolitan, pious and blasphemous, sincere and bigoted, mild-mannered and rude, erudite and ignorant, tolerant and arrogant, sensual and ascetic. The “Seyahatname” was certainly in large parts narrated by Evliya in the courts of his patrons. Its unique character has much to do with the way the style of oral delivery is preserved in writing, with all it nuances, and its movement from factual and serious to anecdotes and tall tales and back. As such, the “Seyahatname” stands in a long and living tradition of Turkish conversation and storytelling (“sohbet” and “meclis”). Evliya uses every level and register of the wealth of Ottoman Turkish, its harmonies and dissonances, the most common words together with the most special and some words maybe nobody else knew. Evliya creates for us the Ottoman universe, with its social relations, structures of power, with its imagination of the past and of the world beyond the horizon. I believe that he felt his time was headed towards a fast change -- we assume that he heard, late in his life, of the catastrophic failure at the gates of Vienna in 1683. The vast panorama of Ottoman lands, life and culture appears to be written looking back, towards an idealized past that was about to disappear, to be replaced by a new time that was rigid and rationalistic, represented by men like Katip Çelebi, Ebu Behram ed-Dimişkî, and the Köprülü viziers. Evliya has in recent years shaped the image of the Ottomans more than any other individual, due to his literary and human qualities. Questions of “what would have happened if” are always risky for the historian, but here is a thought that has crossed my mind frequently as I am teaching Ottoman culture to American students: If the ship that brought the holograph of Evliya’s work from Egypt to İstanbul had sunk, and Evliya’s work had been lost, like so many others, our image of the Ottomans today would be substantially different. If historians today are moving beyond a simplistic depiction of the Ottoman Empire as a giant military machine driven by Sunni orthodoxy, and recognize it as a sophisticated and engaging culture, it is at least in part due to Evliya. Gerald MacLean (professor of English, University of Exeter, UK): Evliya Çelebi shares this 400th anniversary with William Shakespeare. In 1611, Evliya was born and Shakespeare put down his pen. And indeed, we might say that Evliya is Turkey’s Shakespeare, so this 400th anniversary marks a symbolic connection between these two great writers. This may be no more than a fanciful coincidence, of course, yet it is an intriguing one since Evliya, like Shakespeare, must be considered one of the world’s greatest writers. Evliya, like Shakespeare, was a profoundly clever analyst of the world about him and of the people in it. Evliya, like Shakespeare, wrote about what he saw and heard, leaving a detailed and graphic record of his times and what the people about him thought and how they spoke. Evliya, like Shakespeare, was a wordsmith who developed the language of his times in new and exciting directions and enriched it with wit and grace. The 1980s’ TRT show “Az Gittik Uz Gittik,” featuring cartoons of Evliya and his trusty horse Küheylan, of course, planted Evliya firmly within the living memories of a generation of urban Turks. More recently, images from the Ottoman past have started to become increasingly vital and urgent in cultural as well as political spheres within Turkey: Evliya’s detailed accounts of life within the Ottoman Empire might valuably inform debates over the range and meanings of “neo-Ottomanism,” whether foreign policy, Sufism, or cuisine.